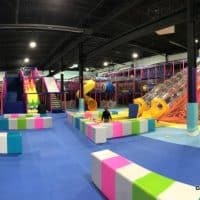 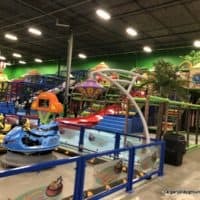 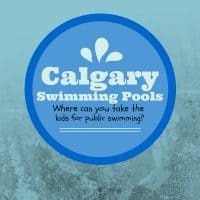 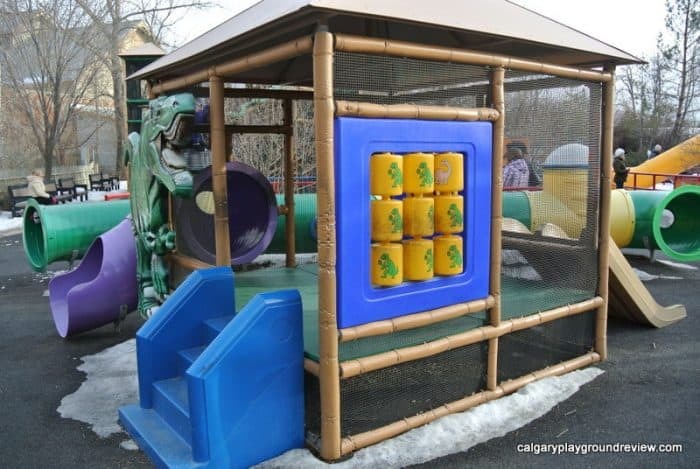 The Co-op Kids Zone is located on the southern path in the Eurasia section, it has a toddler playground, kids train and a zoo themed carousel. 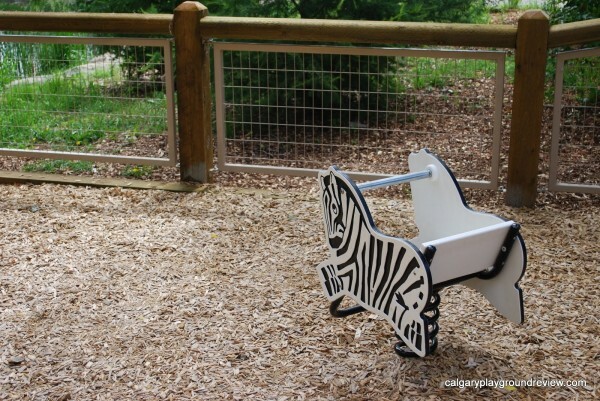 The carousel runs daily from noon-4pm. 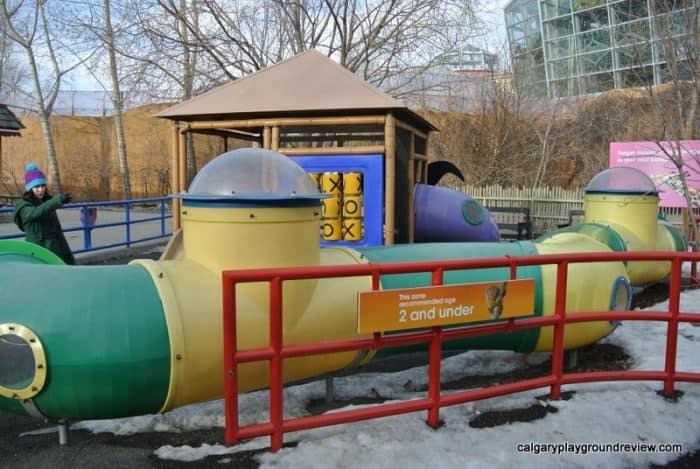 The train (runs seasonally in good weather) and the carousel both require tickets in addition to your zoo admission ($3.00). 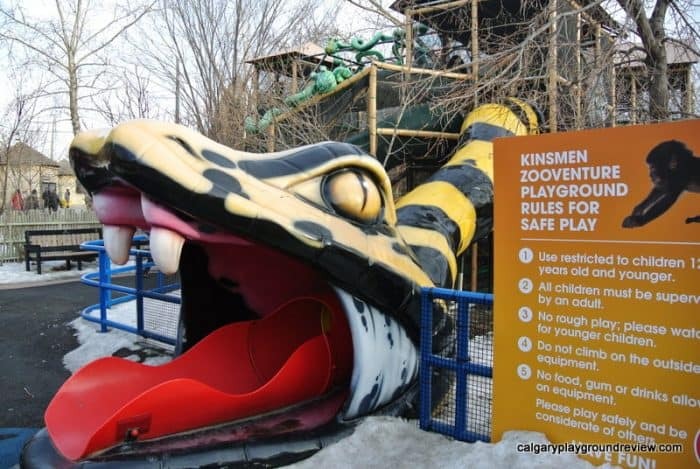 Ride tickets at available at the adjacent Tigers Den gift shop. 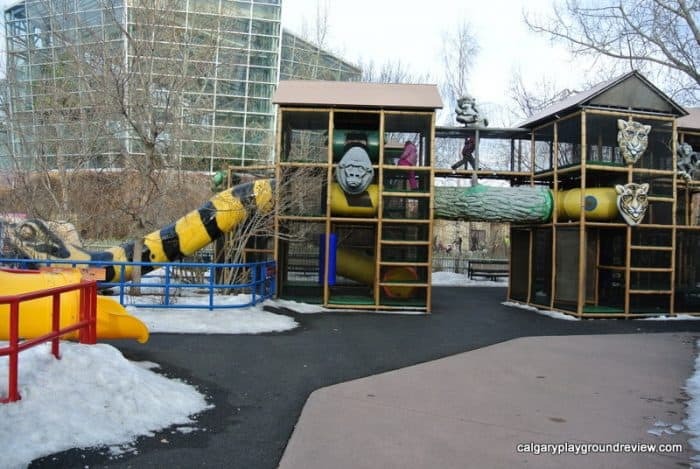 There is also a small play area across from the Conservatory. 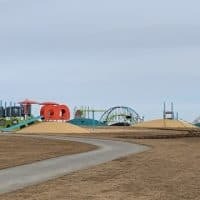 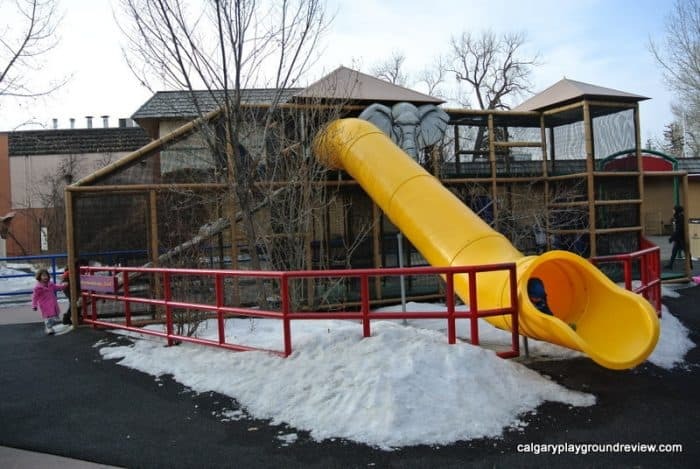 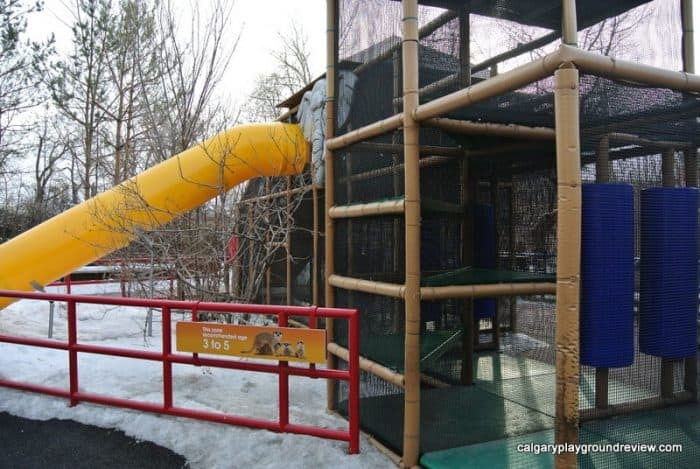 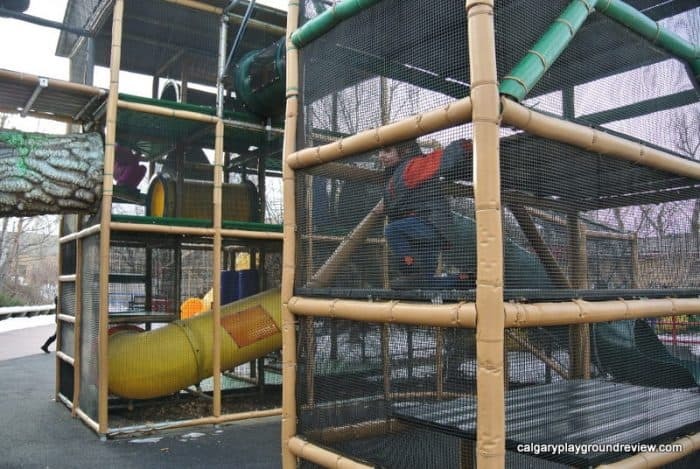 The other playground – Kinsmen ZooVenture Playground- is just past the Transalta Rainforest. 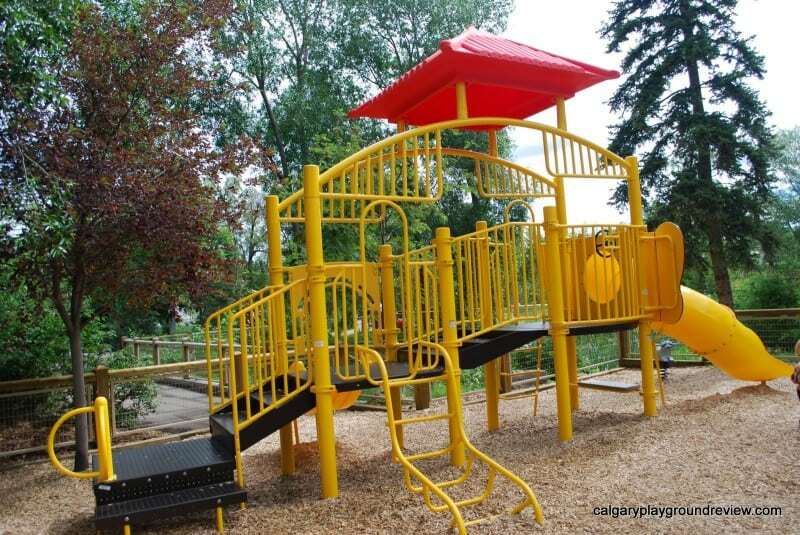 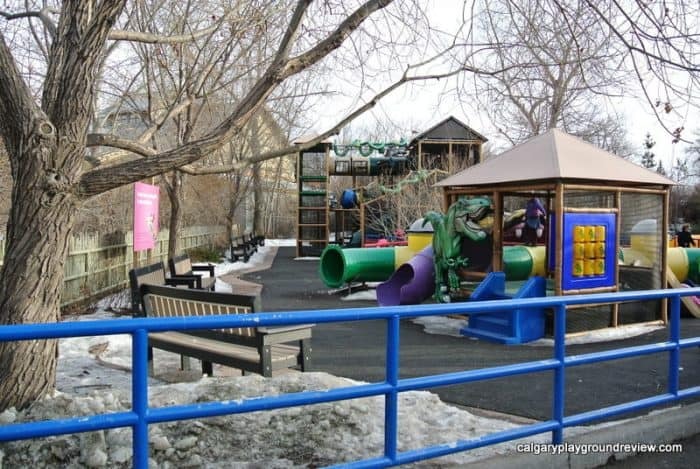 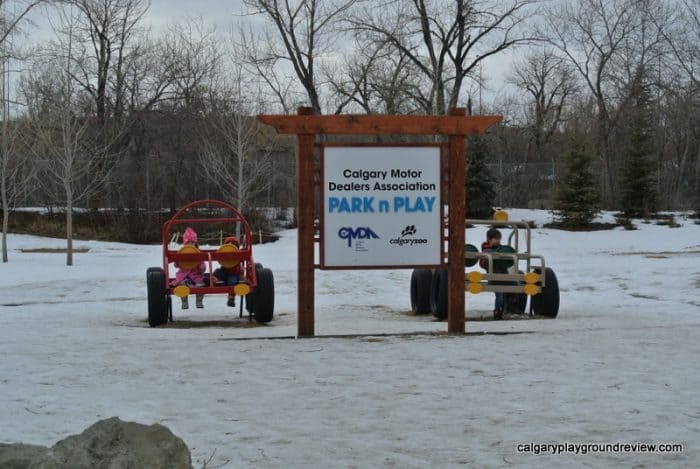 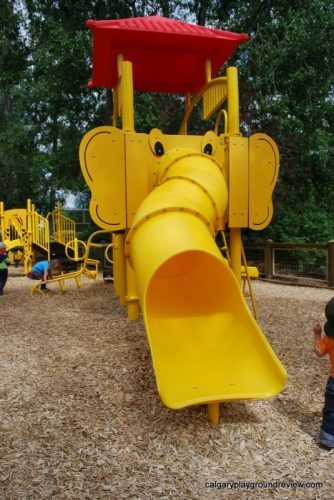 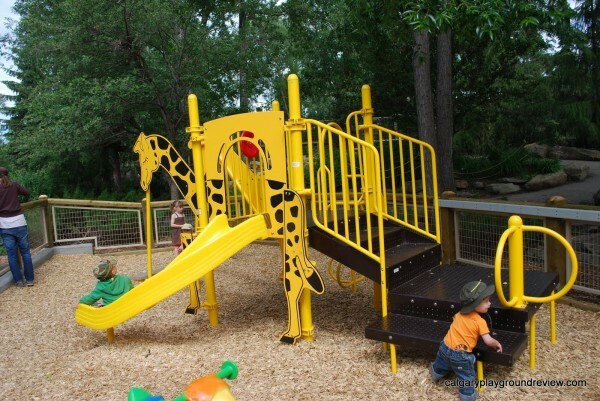 There are three play structures with animals and dinosaur themes, one for under 2, one for 3-5 and one for 6-12.